Our research at Cultivate Learning informs quality learning practices that help all children flourish. 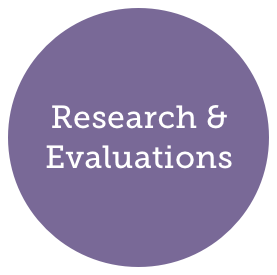 We identify and analyze new and existing assessment tools to evaluate their efficacy toward positive learning outcomes for children. We also evaluate new and existing programs or systems to better understand the way they function and to establish best practices for the fields of early learning and expanded learning opportunities. These reports present the findings from the impact evaluation of the Seattle Preschool Program. The findings focus on children’s learning and classroom quality. The reports also include comparable findings from other preschool studies and investigate the relationships between SPP children's learning gains and their classroom experiences. The Branagh Group has granted free use of their ECERS-3 scoring system for the SPP Evaluation project. Out-of-class programming provides a wide range of enrichment opportunities for school-aged children and youth (ages 5-18). Research shows that participation in ELO programs is linked to improved attendance, social skills, critical problem-solving, collaboration, and innovative thinking. Cultivate Learning conducted at 34-week long evaluation of a pilot for Expanded Learning Opportunity Quality Initiative, whose goal is to build a high-quality, equitable, and state supported ELO system for Washington. In partnership with the Department of Early Learning (DEL) and the University of Oregon (UO), Cultivate Learning evaluated the implementation of a video coaching program called FIND, Filming Interactions to Nurture Development. The goal of this project is to understand the impacts of supportive interactions between childcare providers and children in infant and toddler environments. This evaluation project is being conducted in center-based and family child care programs in infant-toddler classrooms throughout 10 regions in Washington State. The evaluation activities started in April 2016. This proposal covers Seattle's progress toward implementing universal public Pre-K since its launch of the Seattle Preschool Program in 2015. The report reviews supporting evidence of publicly financed Pre-K on a state and national scale, an evaluation of gains in learning, and what support of expanding the Seattle Preschool Program in 2018 would entail. This report describes the benefits of nature-based learning and outdoor play in connection with learning outcomes in children, as well as social-emotional and other development. It also provides strategies and practices for educators to facilitate outdoor learning. Early learning programs can provide critical opportunities for outdoor play and learning.This report synthesizes key themes from Cultivate Learning's 2018 institute on nature-based learning, in partnership with IslandWood, Tiny Trees Preschool, Washington STEM and Seattle Children's Hospital.